OMG it's out! It's out! 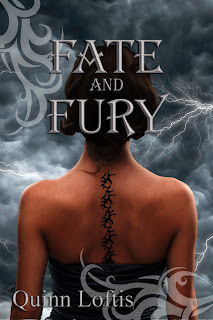 Today, my uber talented friend, Quinn Loftis, released the next book in her Grey Wolves series. 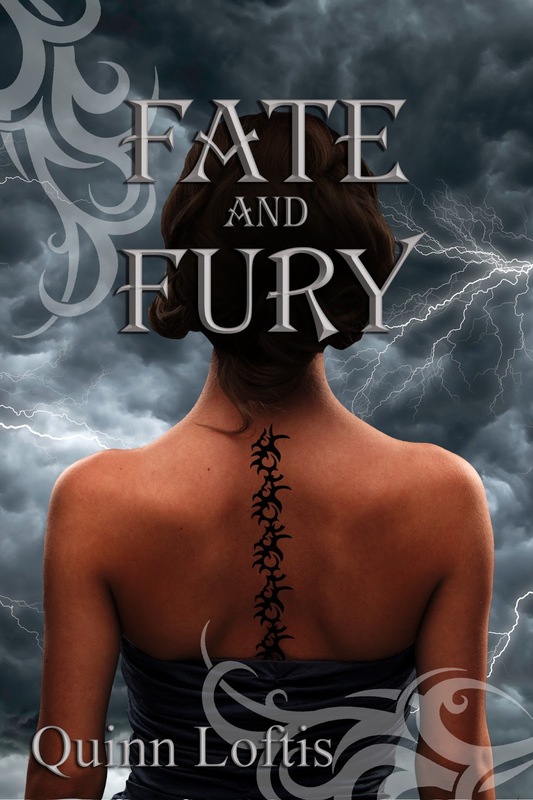 It's called Fate & Fury. It's already tearing up the charts, y'all! Get your copy, people! The last few days have been the darkest of Sally’s life. After experiencing the joy of finding her mate, she now suffers the pain of losing everything she holds dear. Both the Romanian and Serbian packs have been captured, ripping Sally’s soul mate away from her almost as soon as she had found him. Her best friend and the emotional glue that usually holds Sally together, Jacque Pierce, lies writhing in a restless coma, having been put down by Desdemona’s dark magic. Jennifer Adams, the unshakable one, has revealed to her friends and her mate that she is pregnant, but the Fates have marked her unborn baby for death. Though she rails against the darkness, deep inside Jen knows that Decebel’s baby must die as payment for her own life, and the knowledge is tearing her soul to pieces. Cypher, King of the Warlocks, has claimed Jacque’s mother as his mate and agreed to help Desdemona open a door that would release a horde of demons from beyond the Veil. Though her world is crashing down around her, Sally holds out hope. The Great Luna is not sitting idly by. She has commanded the Fey council to call upon the packs—all of them. And though Cypher looks for a way to open the Veil for Desdemona, he struggles to protect Lilly and the wolves at the same time. Peri, the ever-courageous High Fae, and a contingent of the remaining females of the Romanian and Serbian packs, push on through the rough Carpathian Mountains. Though they are bound to the human realm, they continue to search for a way to cross over to the land of the Fey. Meanwhile, in reluctant obedience to the Great Luna, the Fey council sends representatives to the far corners of the globe, meeting with the pack Alphas. The Fey must convince the Alphas of every pack to lay aside their petty territorial squabbles and battles of dominance. If they refuse, both the humans and the supernatural races will fall at Mona’s feet. Sally holds to a shred of hope. Though Vasile, Decebel, and their pack mates endure the torture of the In-Between, living their worst nightmares over and over, Sally holds. Though she knows that it is only a matter of time before their wolves take over, she holds. Sally knows that if the males die, then so too will their mates who have performed the Blood Rites, including her best friends Jen and Jacque. Yet she holds. If the males lose themselves to their wolves and turn feral, so too do their mates. Still she holds. Though Vasile, the strongest Alpha in their history to unite the wolves, is lost beyond the Veil, Sally holds. Though Decebel, the only other wolf besides Vaile strong enough to unite the packs, suffers beyond the Veil, Sally will hold. No one is left to unite their race, and defeat Desdemona. Yet Sally still holds. She holds out hope that the Great Luna will not abandon them, cannot abandon them. Throughout the centuries, the Great Luna has always provided a gypsy healer to the packs, especially in times of great need. Now Sally is that healer. Sally fears what role she has to play in the defeat of Desdemona, but she will play it. Though heaven and hell unite against her, she WILL play it. For too long the supernatural races have lived in separation, warring amongst themselves, allowing trivial power plays and selfish disputes to keep them from uniting. That separation has made them weak. Now, being summoned as a collective force to the same land, will they come? Will they come in numbers greater than have been seen in centuries? Will they destroy each other and save Mona the trouble, or will they finally unite and fight as one?